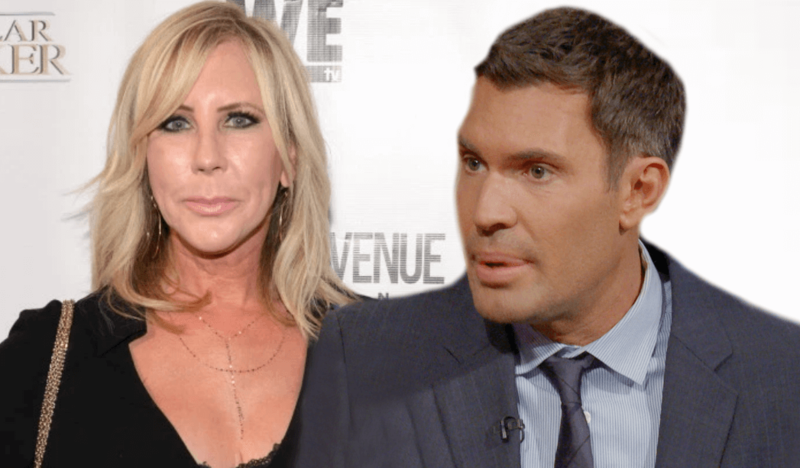 The feud between Real Housewives of Orange County star, Vicki Gunvalson, and Flipping Out personality, Jeff Lewis, is heating up, after Jeff jabbed at the reality star’s weight during an episode of his Sirius XM radio show, Jeff Lewis Live. Vicki took note of the the hit on Twitter — and the gloves came off. Jeff is now claiming that Vicki is plotting to get him booted off the Bravo payroll. Jeff revealed on his May 25th broadcast that two unnamed RHOC cast members had warned him that Vicki was out for blood. Jeff made another snarky remark about Vicki’s weight, still denying that he was fat-shaming the OG of the OC. Vicki was apparently alerted to Jeff’s comment by devoted superfan, Corey Larrabee. Jeff is now theorizing that Vicki was the one who had the diss exposed. Jeff cranked up the heat, reassessing old drama in light of the latest controversy. Jeff reports that he’s now convinced that Vicki was indeed aware of her ex-beau, Brooks Ayers’ alleged cancer scam. Jeff also believes that Vicki was behind last season’s ongoing gossip, questioning Eddie Judge’s sexuality. Jeff later shaded Vicki’s ego — but chose his words carefully. Interestingly, Bravo bigwig, Andy Cohen, phoned in during the show, seemingly to set Jeff straight. His light-hearted spanking was met with laughter — but Andy’s message was clear. “Vicki’s not going to get you fired — I am,” Andy quipped, after scolding Jeff for his loose-lipped dialogue. Flipping Out is headed into Season 11, and The Real Housewives of Orange County Season 13 trailer is expected to be released this week.